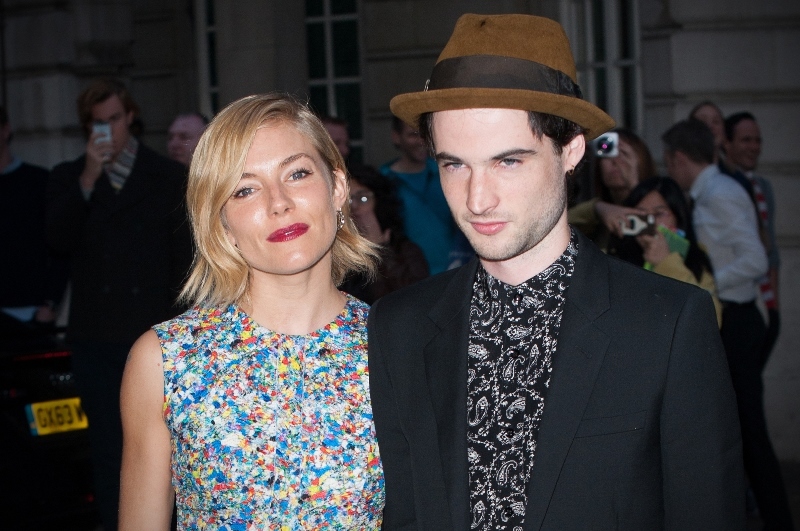 Sienna Miller supported her partner Tom Sturridge at the London premiere of Effie Gray this weekend in London. Great print on that dress. They seem happy and relaxed together. Not that it’s any of my goddamn business but I’m relieved to see that. Professionally, it’s not a good time for Sienna to get restless. And she does. But, as Joanna wrote last week (click here for a refresher), Sienna could be considered for award season now that we’ve seen her in a preview for American Sniper. Vulture agrees with this assessment. She’s by no means in the top 5 right now, but there are always surprises. And there’s also the Clint Eastwood factor. The Academy tries when it comes to Clint. At least they did before he started talking to chairs. Actually, given that the Academy is full of crusty old conservative white men, maybe his chair-talking is an asset.